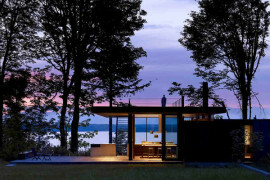 Not everyone among us is blessed to have a weekend house. 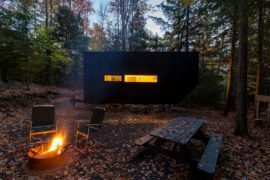 Even fewer have the opportunity to spend a weekend in the woods while visiting their kid in college! 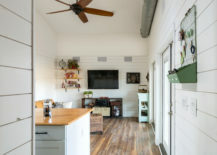 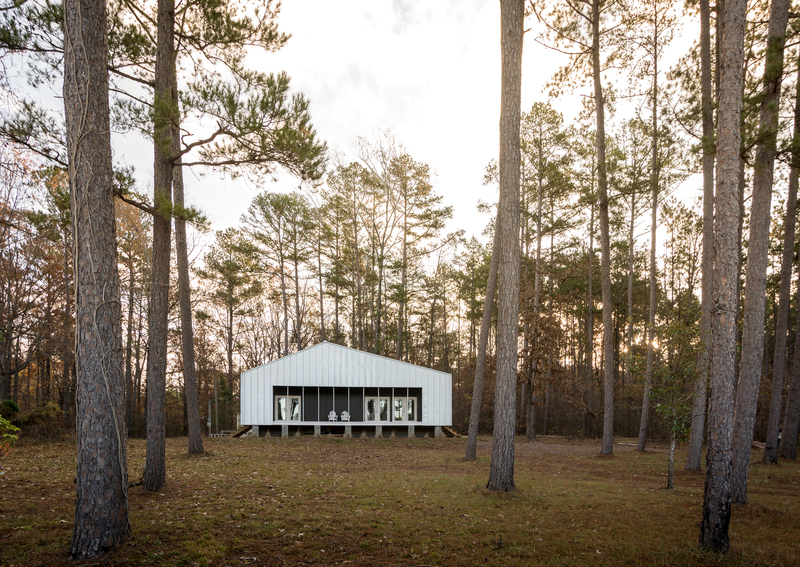 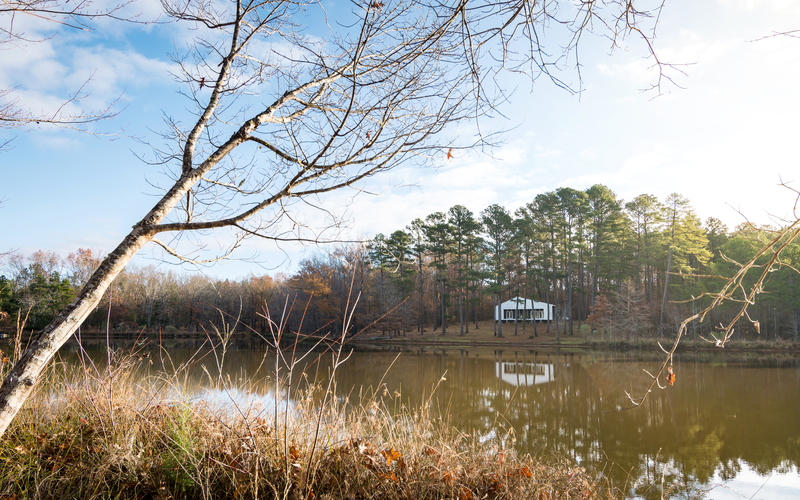 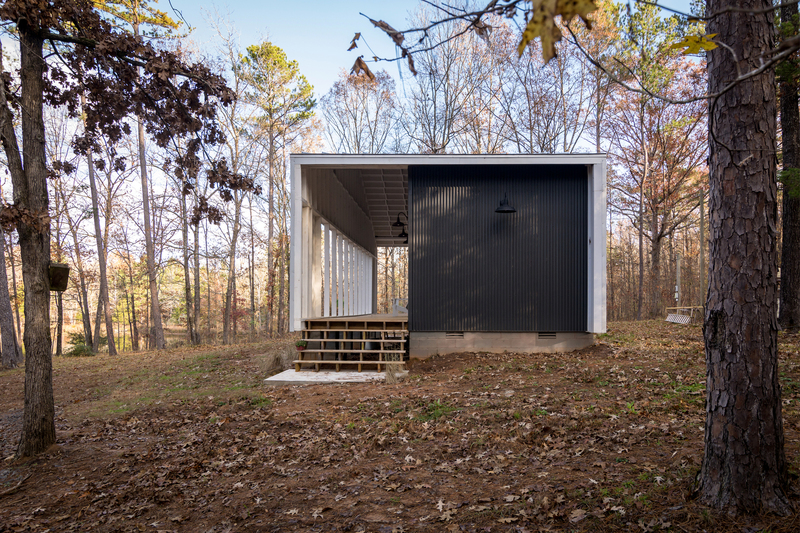 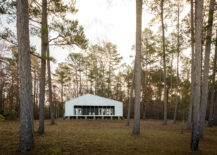 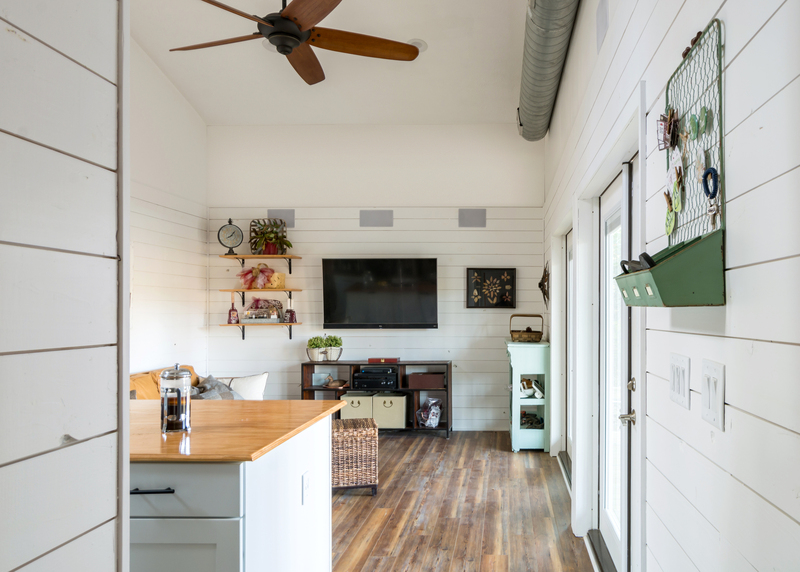 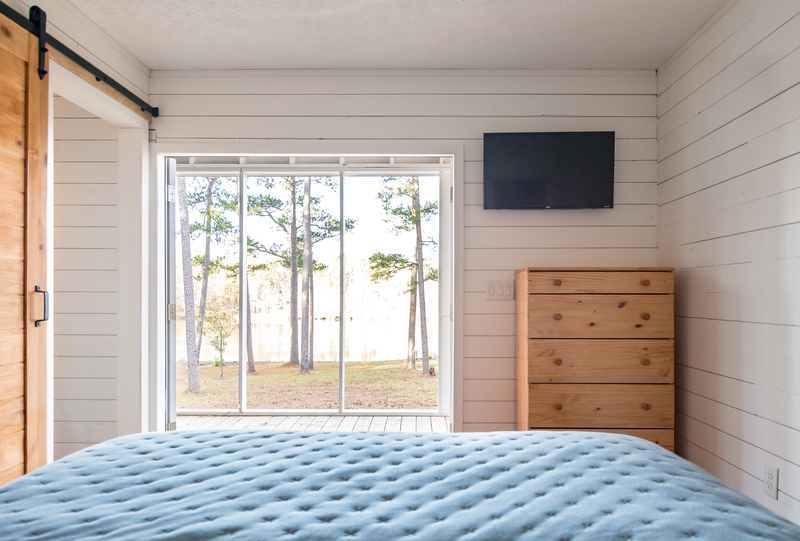 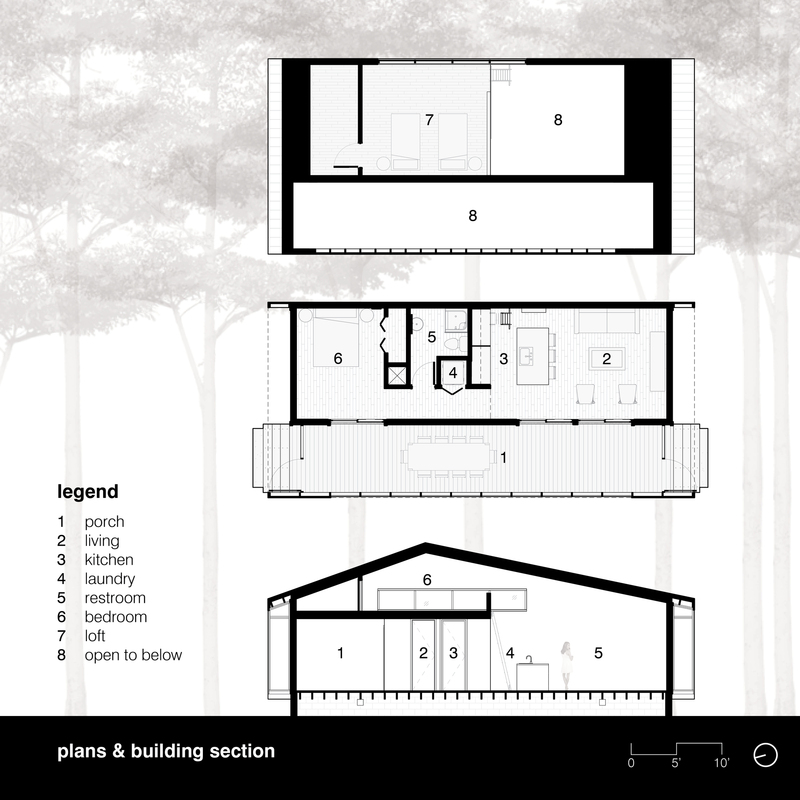 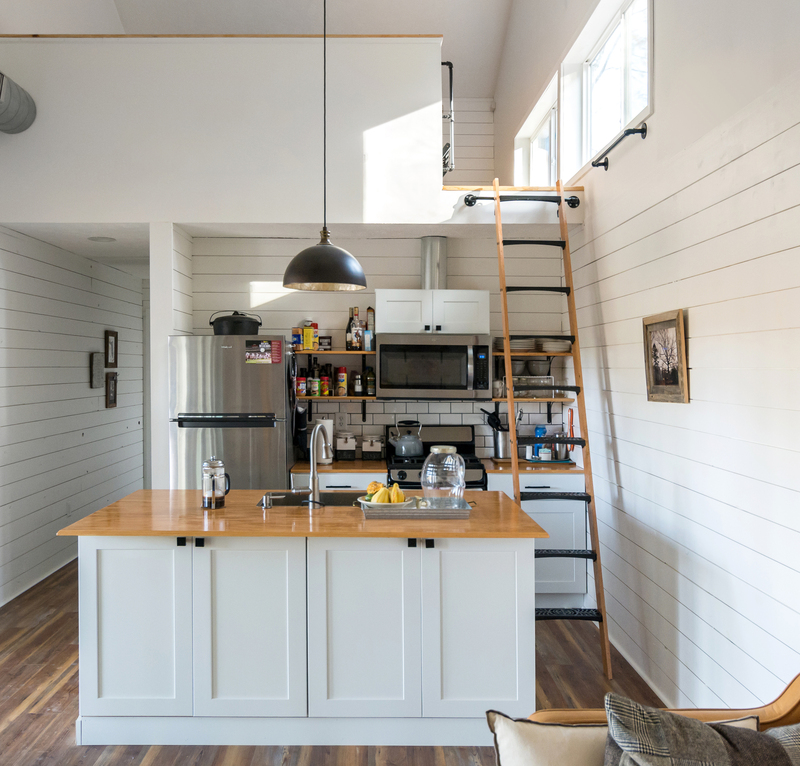 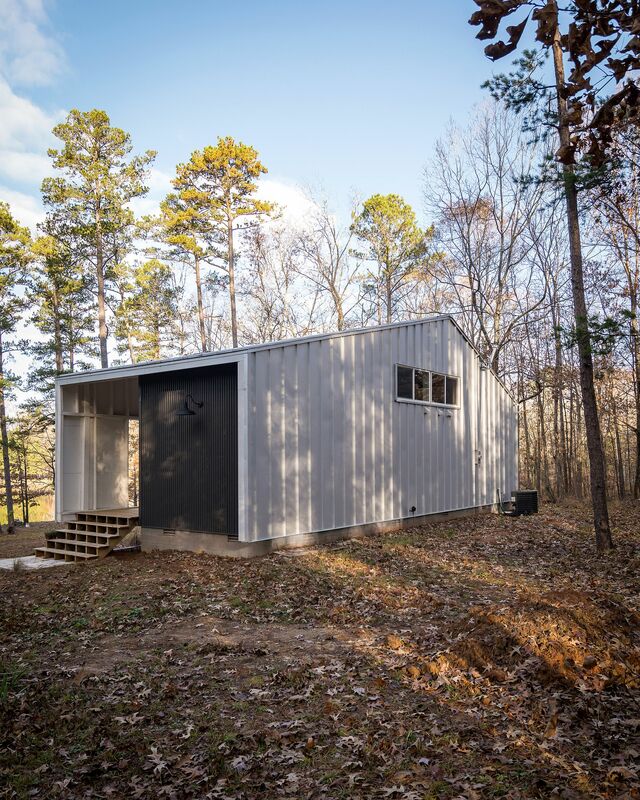 But that is precisely what Nash Tiny House in Starkville designed by archimania offers its homeowners as they turned their old property into a reclusive escape that is close to nature. 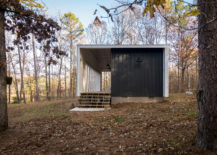 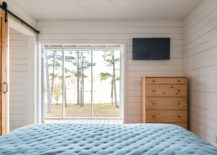 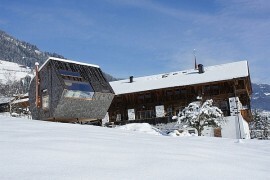 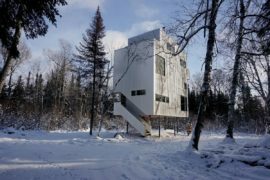 The cabin is simple in both its style and execution with a metallic exterior protecting it from the elements. 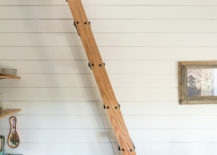 Wood and concrete offer a more stoic and cozy interior with white being the color of choice for the backdrop. 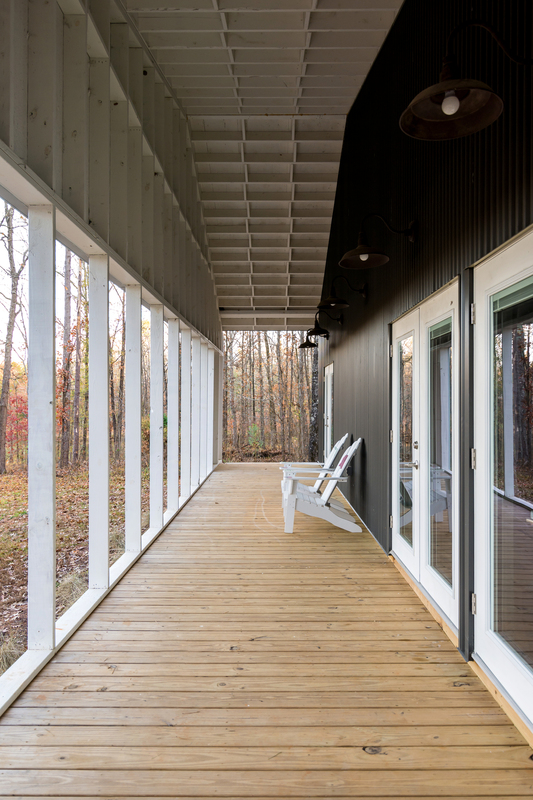 A series of porches around the house shelter it from the elements further and provide a comfortable sitting zone for anyone who wishes to take in the sights and sounds outside. 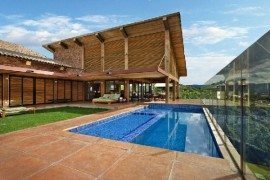 With the choice of materials used for the design of the house, one finds the perfect blend of aesthetics that is anchored in durability. 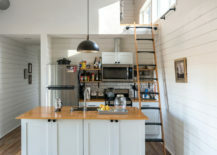 Natural light illuminates the interior elegantly with the loft level bedroom being placed above the kitchen. 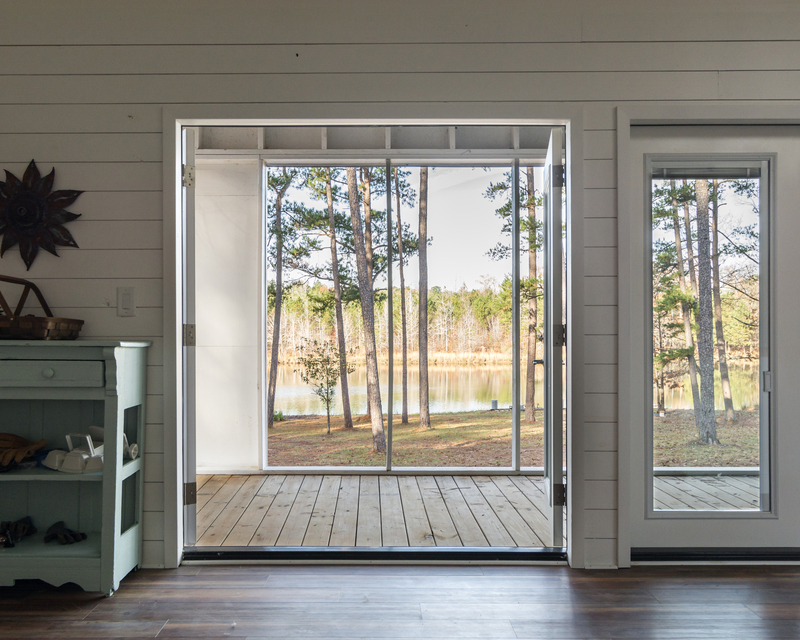 Décor seems minimal and modern and the focus remains firmly on the landscape outside. 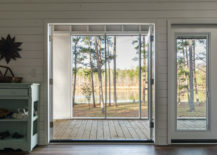 A beautiful pond in the distance and the dense woods provide a natural privacy screen of sorts and keep out intruders. 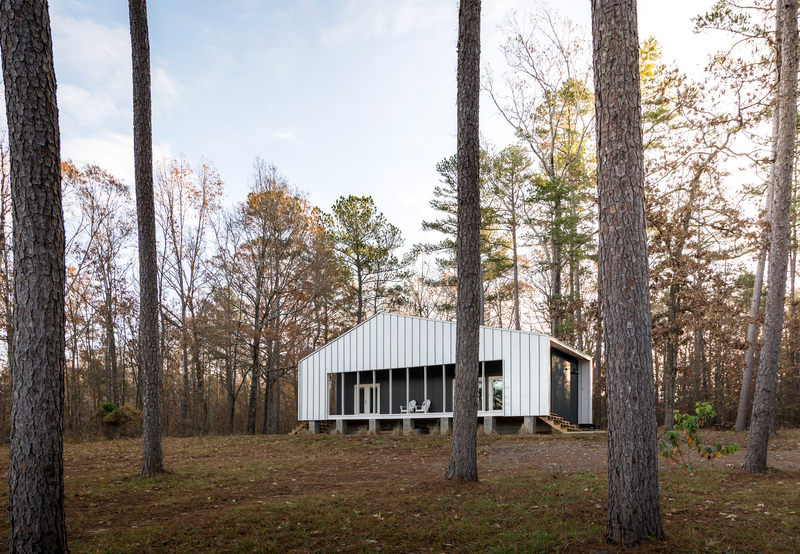 The plane is clad in galvanized standing-seam metal panels as a regular vertical meter against the sculptural pines and the remaining exterior walls in charcoal corrugated metal panels as a third scale of vertical lines. 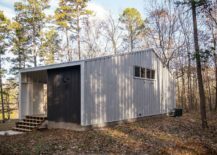 Metal panels, pressure treated wood, and concrete masonry units were selected as exterior materials for durability and low maintenance required between sometimes infrequent visits. 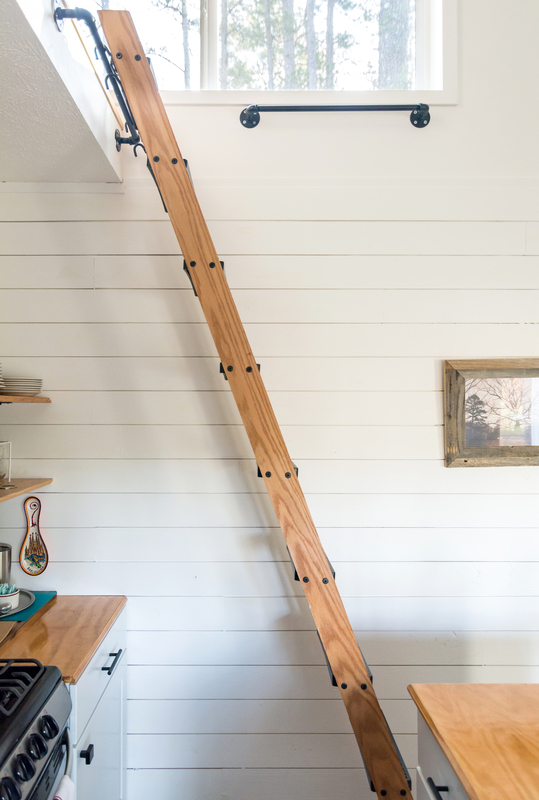 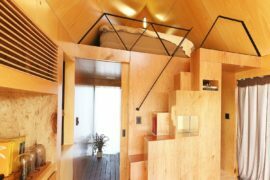 Exclusive Tiny Mountain Cabin Promises A Picture-Perfect Escape! 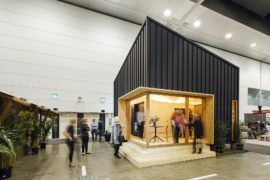 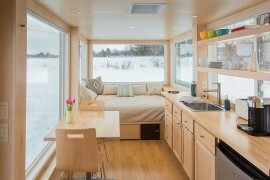 Going Planet-Friendly: Sustainable Tiny House Also Helps Kids in Need!